Letting the boots on the ground fight the war. “ISIS became a brand, and a lot of pre-existing terrorist groups — you’ve seen this in the Sinai, for example — start to raise the flag of ISIS, mainly to recruit foreign fighters and other things,” said Brett McGurk, Special Presidential Envoy for the Global Coalition to Counter ISIS at the U.S. Department of State, in a press briefing Thursday with reporters at the State Department. 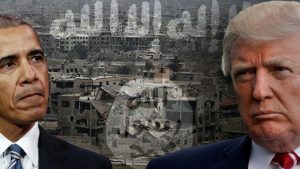 Deptula thinks the ISIS fight would have ended much sooner if then-President Obama had given his military commander in the field more authority. He compared President Obama’s actions to President Lyndon B. Johnson during the Vietnam War.